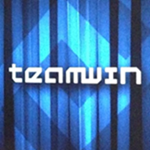 The Team Win Recovery Project's custom recovery, affectionately known as TWRP, has received an update today. The latest version of the software is now 2.8.6.0, and it comes with a number of changes. There are some keyboard improvements here, some scroll bar adjustments there—that sort of thing. TWRP comes in handy for backing up your device, flashing ZIP files, and installing custom ROMs. To replace your stock recovery, you first need to check to see if your device is officially supported. After that, you'll need an unlocked bootloader. Take your time. When you're messing with this area of your phone, it's easy for things to go wrong.